In the year of 2000, Abílio Tavares da Silva decided to change his life. He sold the companies that he owned in Lisbon and moved with his family to Douro, looking for a place where he could produce wines in the most demarcated and regulated region of the world. He found the place he dreamed after a long search: a 14 hectare propriety in the heart of the wine region, with fantastic views and a privileged exposure to wine production: south and west. 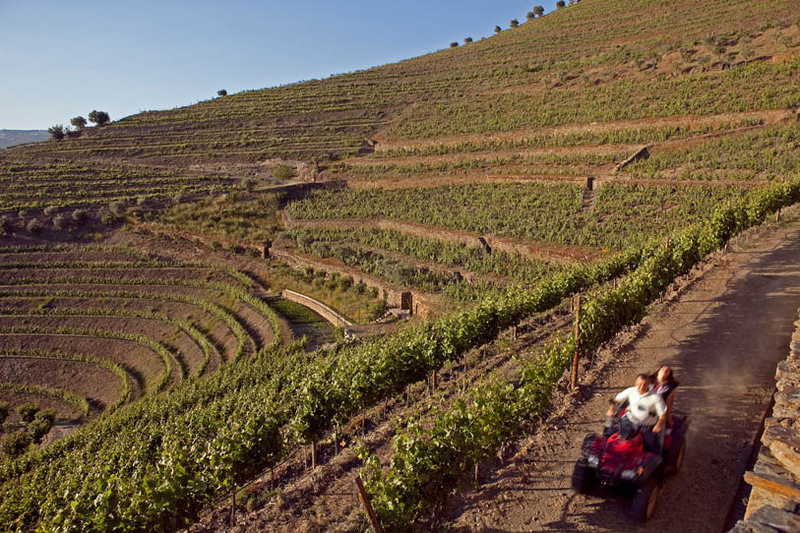 Following a detailed reconstruction project, the producer maintained three hectares of old wines planted in terracing’s and replanted 80 per cent of the propriety with Douro traditional varieties ((Touriga Nacional, Touriga Francesa, Tinta Roriz, Tinto Cão, Tinta Barroca...) All the propriety rehabilitation - soil loosening, irrigation, drainage, fertigation and weather station – obeyed to the most modern technologies and knowledge’s available in each area, combining innovation with respect for tradition. As well as the renovation of the farm, an old cellar in the center of Pinhão was rebuilt. The project from the architect Paulo Gomes, give life to a new traditional cellar, in an advanced state of degradation. With a contemporary intervention, that respects the traditional materials, the building is also a place to receive visitants. In the farm, about one kilometer from the cellar, Abílio Tavares da Silva prepares the reconstruction of an old propriety ruin, the center of the future project of wine turism of Foz Torto.